Couple of years back, brand awareness was driven by traditional style of advertising through different mediums such as newspaper, billboards, radio & TV marketing. This method of promoting would fetch result for consumer product but B2B products did not get any benefits. The reason is the way of communicating endorsing messages to the larger audience was unproductive and quite expensive. Digital marketing specially Google Adwords has transformed the brand perform their advertising. With Google Adwords, organization can promote to the users when they are exploring about their product categories in the search engine. Marketers can also reach wider audience by targeting people on other websites through Google Display Network. 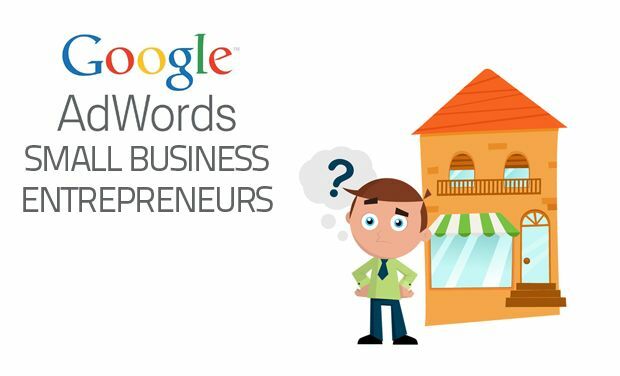 The visibility for businesses on Google is much more important in terms of driving sales and leads. On the search engine, businesses get the ideal opportunity to be visible in front of people when they are searching for the products or services. But to reach on the top position in search network competition is comparatively high thus it takes time and patience to acquire the positions. On the other hand Google Adwords are exactly opposite to SEO which delivers fastest result with less time. There are competitions in Adwords but it all depends on the bidding amount, quality score of the keywords, relevance, landing page experience and estimated CTR which defines the position of the ads. Therefore Well-optimized Adwords campaigns along with required bidding can bring up the great ROI. Have you ever thought how you are going to influence your audiences to make the purchase? Well brands have different strategies and techniques to influence their audiences and remarketing ads are one of them. In the world of internet all information are available with just a few clicks and before taking any purchase decision buyers does a lot of research, compares diverse options and then jump into the conclusions. It is significant for brands to influence their buyer’s decisions who have visited the websites to make them navigate through the purchase journey. With Google Adwords, remarketing ads are the methods that help brands to tempt their audiences and fulfill their desires. The procedure is quite simple and effective. Here consumers visited a website through any source can be classified into diverse audiences and targeted on the sites which are on Google Display Network. A biggest illusion among marketers is that every keyword should have 100% search impression share. But the fact is, is it viable to spend every penny on each search? Sometime search are performed to research, competitor’s analysis etc. where people are more concerned about information rather than purchase. With Google Adwords, it is possible to serve ads to the audience who are more intended to make a purchase. The marketers have to select automatic bid strategies such as Enhanced cost per click (ECPC), wherein bidding will be adjusted based on the initial conversion data and the blend of diverse data fetched through converters like location, device, model, browser, time, day etc. Let’s take an example that you have new feature of your product which you think would fascinate viewers, thus you replace the new feature with the existing one in your ad copies and update the same in landing page. For the time being, you also perform automatic bidding strategies to improve conversion and within a month your Adwords performance improves in terms of CTR & conversions. Now the question arises that if it works on one then does it works across all campaigns. The problem is you don’t know whether the new features work or new bidding strategy. Google Adwords has an option to experiment as per campaign and test over a period of time about the original or the experiment one which deliver the best results. Information shown in the experiment is statistically confirmed to eliminate the uncertainty. One of the newest updates of Google Adwords particularly for search campaigns is the statistics about viewer’s demographics like age, gender, status etc. Let’s understand this with the example: You are a fashion designer and your target audiences are the people who are searching for designer outfits or planning to check out latest fashion trends in market. Now you started using Google Adwords and you monitor your conversion rate is not that good. Now you decide to go with demographics of your audience and found that 20% traffic is coming from the age group of 45-65 which is normally not the age group of your audience. Therefore you choose to exclude this age group in an experiment and run the campaign for some time. By end of the experiment, you notice that the conversion rate of the experiment is far better than the original ones. This is one of the best benefits of Google Adwords that helps marketers to reach their prospective audiences through user’s demographics. One of the crucial advantage of Google Adwords is to choose the time and day when one wants to run their ads. But it is not compulsory to run the ads round the clock. It depends on the business verticals, product, services and more prominently your initial data. After running the campaign for 4 to 6 months, analyze your data based on time, day, week and month. Identify the time or day, or make it a combination of both and if you find the campaigns was simply consuming your money then either reduce the bid or pause the ads at that time or day. Run the experiment for few days and monitor your cost per conversion and conversion rate is improved.